"Drive" is about a stunt driver who moonlights as a wheelman for hire, but when a bank heist goes wrong, he finds himself on the run from the mob who has a contract out for his life. Hugh Jackman was originally the wheelman on board, but since then Ryan Gosling has stepped in to fill his vacancy. Jackman is a solid talent, but I really like Gosling. Seeing him as the star of a Refn's directed action sounds right up my alley. Joining Ryan Gosling in the cast is a talented up and coming actress. Carrey Mulligan who gained a tremendous amount of notice after her Oscar nomintaed role in last year's An Education. Mulligan was previously in the running for the David Fincher remake of "The Girl With the Dragon Tattoo," but that role was nabbed by Rooney Mara leaving Mulligan to find herself work elsewhere. Mulligan will play an ex-con's girlfriend who ends up along for the 'Drive' as the wheelman is on the run trying to save his life. Now that the dice have fallen, I'm pretty happy with the result. Mulligan is really talented and I can't wait to see an action film that has solid actors, not just eye candy. Rounding out the newer "Drive" casting additions are Bryan Cranston from AMC's television hit Breaking Bad and long time comedian Albert Brooks. While Cranston's role has yet to be revealed, Brooks will be portraying a gangster named Bernie Rose. Deadline calls his role, "a transplanted New York mobster who comes to L.A. and is not to be messed with." Brooks usually plays more funny roles, so he certainly seems like a odd pick, but its a choice I'm willing to trust Nicolas Winding Refn's decision to cast him. 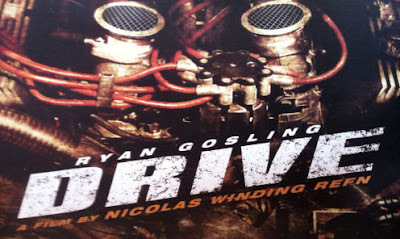 "Drive" will begin shooting next month in Los Angeles but as of right now the production has no domestic distributor. Universal was attached, but they've dropped out. Not sure if that happened as a result of Jackman leaving or not, but either way Universal for whatever reason decided drop the ball on what sounds like a promising project. OddLot Entertainment, Bold Films and Marc Platt Productions are producing the project that was penned by Hossein Amini.